One of the more often discussed deals that Microsoft inked in the past few years has been the exclusivity period of downloadable content for the Call of Duty series. Traditionally, the Xbox 360 has received any multiplayer DLC before other platforms and that pattern looks to continue on the Xbox One. Microsoft confirmed that the deal will continue onto the Xbox One, giving Call of Duty: Ghosts players on their systems all of the DLC first. In addition to the confirmation of the DLC trend continuing, it was also stated that Call of Duty: Ghosts will have dedicated servers via the cloud on the Xbox One. The official announcement came via the Xbox Newswire, and we’ve listed the important information below. In today’s Xbox Showcase at gamescom, Mark Rubin, Executive Producer at Infinity Ward, took to the stage to announce “Call of Duty: Ghosts” on Xbox One will use Xbox Live Cloud hosting to provide dedicated servers for multiplayer matches, ensuring the best multiplayer experience will be on Xbox One. And, gamers will get all downloadable content for “Call of Duty: Ghosts” first on Xbox One and Xbox 360. 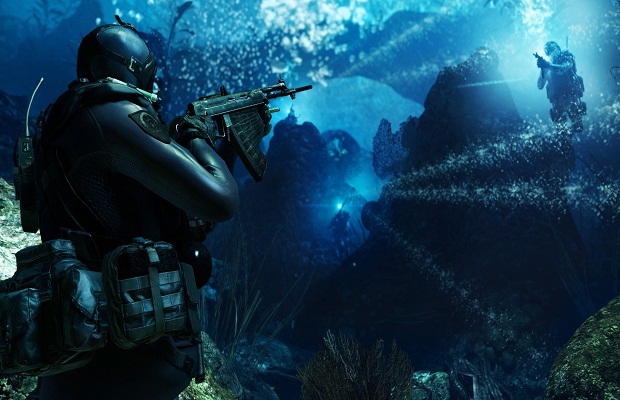 The award-winning team from Infinity Ward unveiled a new co-op mode, “Blitz,” for “Call of Duty: Ghosts”. And, the Xbox team announced it is further teaming up with Activision and Infinity Ward to create an exclusive “Call of Duty: Ghosts” bundle across various European markets when the game is released in November. The bundle will include special bonus content, exclusive to Xbox One. What do you think about dedicated servers and the DLC trend continuing for Xbox owners? Be sure to let us know what you think by leaving us a comment below, or continue the discussion on Facebook and Twitter.